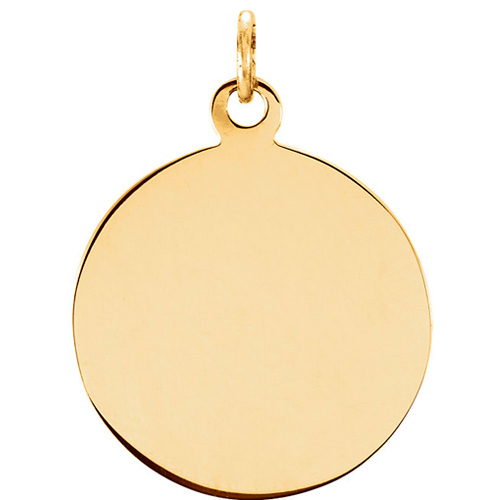 Polished 14kt yellow gold medal. Round, 15mm diameter. 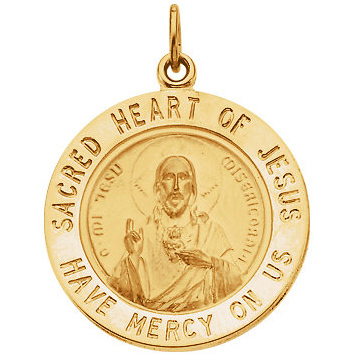 Inscription reads: SACRED HEART OF JESUS HAVE MERCY ON US. Weighs 1.23 grams. Please note: weight is approximate, actual weight may vary. Chain not included. Bail dimensions: 1.8mm x 2.0mm.